Experienced show horse looking for a career in show jumping! Joe loves to jump sticks, go cross country schooling and on hunter paces with friends. 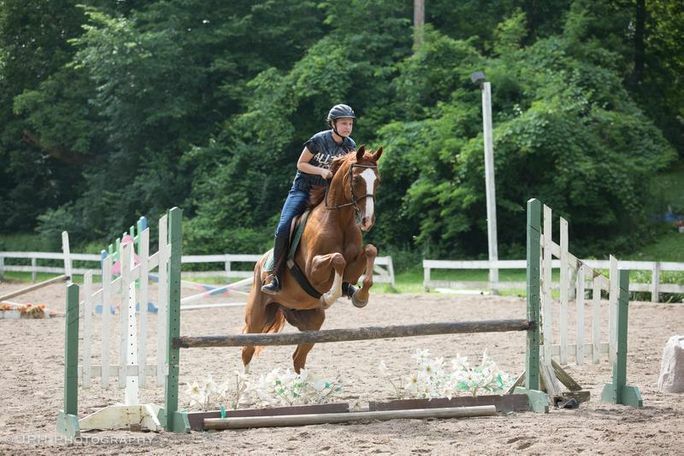 He does not want an eventing career, and requires an intermediate rider. Joe is low maintenance at shows, sound for all disciplines and you are sure to get noticed with all that chrome! Joe is a 2011 gelding that is sound for all disciplines, and has extensive show miles with both an amateur and professional. The girls at the training facility fight over who gets to ride this one. The same horse at shows and at home. Scoop him up now to get to your fall shows in style! All #teamFFI horses are vetted, available for test rides and 30 day trial.